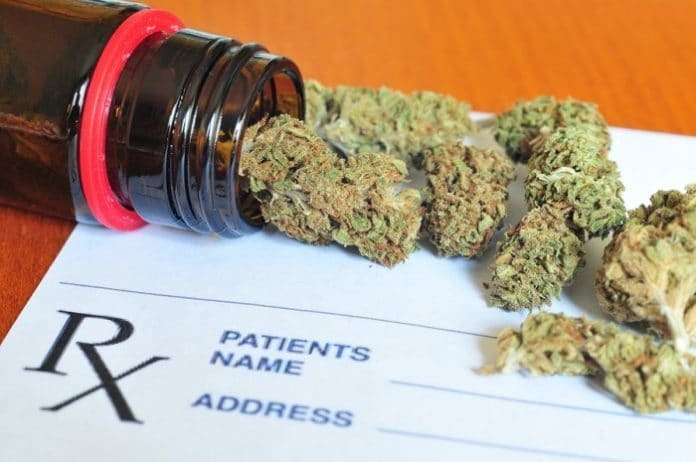 A new report claims if medical cannabis were legalized across the USA, pharmaceutical expenditure on conditions that respond well to cannabis medicines could have fallen by billions of dollars over a three year period. In a new study, New Frontier Data says its data analysts have determined pharmaceutical expenditures on the top nine conditions commonly treated by medical cannabis could have decreased an estimated $18.5 billion between 2016 and 2019 with nation-wide legalisation. The company firmly believes cannabis is set to cannibalize the nation’s conventional pharmaceutical industry. “The United States constitutes 35% of the global pharmaceutical market, the largest market in the world, and a major driver of the U.S. economy,” said the company’s CEO and Found, Giadha Aguirre De Carcer. “If cannabis were to be adopted nationally, we would begin to see a trend of patients turning to medical cannabis as a substitute or complement to pharmaceuticals”. This trend is already happening – just this week, we reported more evidence of cannabis substituting subscription prescription drugs; and it it’s not the first study to have arrived at this conclusion. The shift to cannabis could have huge and positive implications for initiatives such as Medicaid – a state and federal program in the USA that provides health coverage for people with a very low income. Last month we mentioned total savings for fee-for-service Medicaid could have been a whopping USD $1.01 billion in 2014 if medical marijuana was legal across all states at that time. “By applying that decrease to the total amount of money spent in the U.S. on treatments for these conditions, it is estimated that cannabis and related products can replace $4.4 billion to $4.9 billion per year of current spending on existing treatments,” says the company.